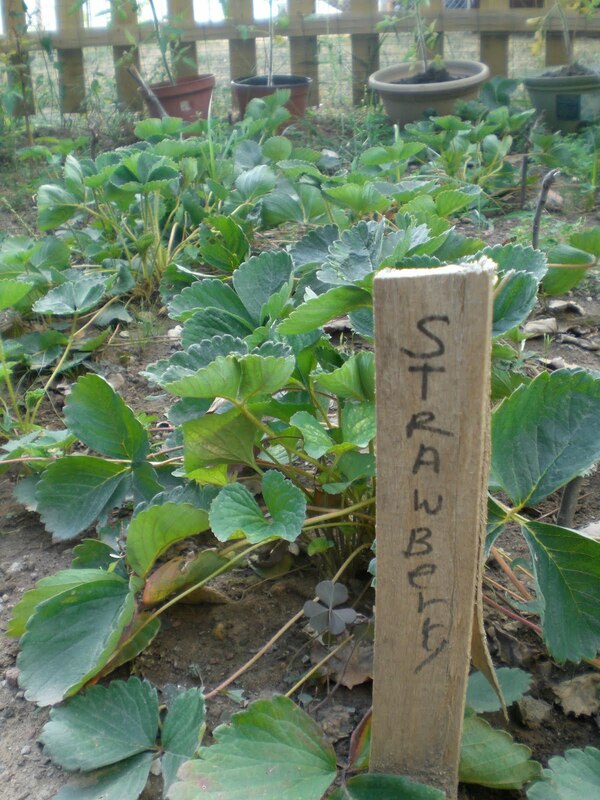 gardening in the boroughs of nyc: A patch even Strawberry Shortcake would be proud of! A patch even Strawberry Shortcake would be proud of! When I was a kid, I used to love Strawberry Shortcake, the toy not the dessert! I must admit, even now as an adult, I still think she's awfully cute. I used to have a doll of her and the strawberry she lived in. I can't help but think that she would love our strawberry patch. 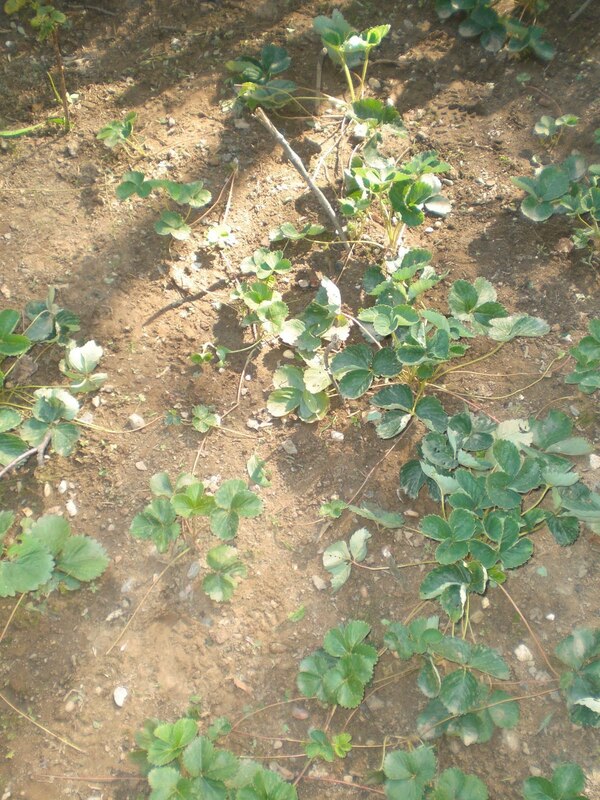 We planted 20 strawberry plants in the garden this year. When we bought them, they were nothing but roots. We planted them in April, and to my surprise, they really took off! We lost a few to heat here and there, but they send out runners and start new plants on their own so I wasn't worried about the ones that perished. We planted 2 types, everbearing and sequoia. The other day I noticed the patch got really weedy! So I spent the afternoon pulling all the weeds. Here's a before shot. And here it is after all the weeds have been pulled. Doesn't it look much better? Since it's the first year for these plants, there are no fruit. I cannot wait until next year! I hope we get enough berries to do a jam! 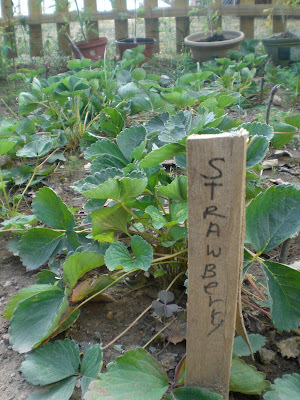 What kind of strawberries are you growing in your garden? What variety do you recommend we try next? No advice here, mine did fine but I ripped them all out! They were just taking up too much space for me considering our area is known for strawberry production, so I leave this one to the u-pick farms. Someday when we move I will have a large patch though! Your patch looks nice and healthy! We have strawberries in a pot, but we just don't get many berries. I find strawberries to be a pain to grow, too much work cutting off the offshoots etc. I'm going to try currents next. The variety Seascape is doing really well for me. I planted them this year and they produced a nice crop of medium sized berries and then when the weather got warm they put out a second crop of huge sized berries! They are spiting out a few berries still but I wonder if they will produce another big crop when it gets cooler. Your plants look great! I've never had any luck with strawberries-but I did like strawberry shortcake too : ) Did you ever have the doll that would blow out strawberry scented air when you squeezed her tummy? I remember my cousin had one like that. My daughter used to like Strawberry Shortcake toys, and watched the cartoon. Your plants are looking great. I have some nameless everbearers a friend gave me that I planted in my garden across the street. They are not getting enough light, and I didn't ammend the soil as much as I should have, so some of the plants are not doing well, but a few are sending out runners. Oh, and my husband bought a bag of strawberry plants a few years ago, and that thing survives winter in our window well, and produces a few berries each season without even being fertilzed. Weeding strawberries, I hate it! I grow varieties which keep the season going from end of June to August, it's worth spreading it out a bit. My plants mostly look after themselves, they just get a bit of manure and compost mulch in spring and I leave them alone after that. When I was growing up, we had a large strawberry patch on the sunny side of our house. 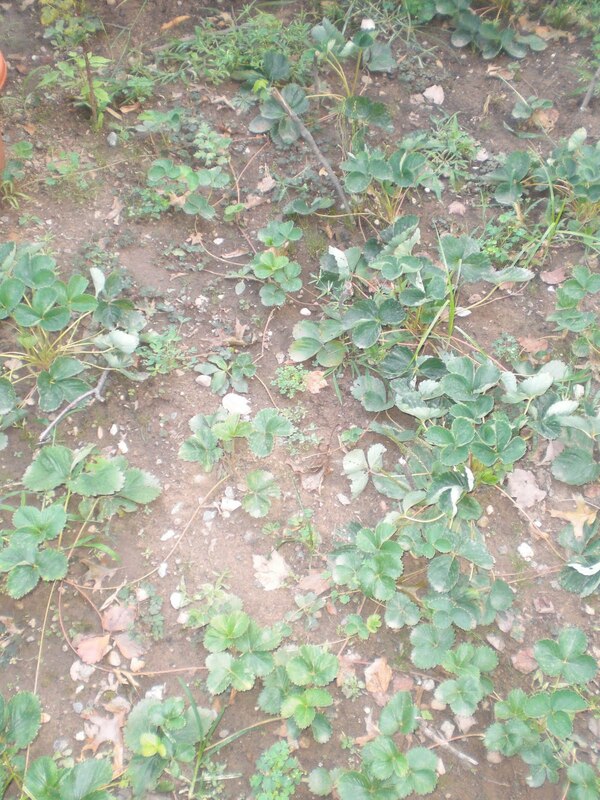 The strawberries did really well even though we didn't tend to them very well. For some reason I can't seem to keep my strawberries happy and heathy now that I am trying so hard!